The World Heritage committee finalized its annual meeting in Phnom Penh last week, adding 19 sites to its growing list of global wonders. Still, the meeting ended as it started – with its fair share of controversy and pleas for further financial backing. Italy's Mount Etna volcano and the Medici Villas and Gardens in Tuscany, Japan's Mount Fuji, the Sand Sea in Namibia, North Korea's ancient capital in Kaesong and the Historic Centre of Agadez, Niger were among the latest to be inducted on the UNESCO World Heritage list. 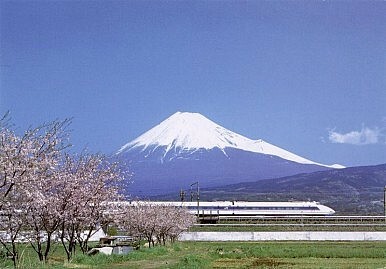 The Japanese were particularly engrossed by the addition of Mount Fuji given its cultural significance to the nation. The 3,776-meter cone-shaped volcano was classified by the 21-member United Nations Educational, Scientific and Cultural Organization (UNESCO) committee, as a "cultural" heritage site, rather than a "natural" heritage site. Of Mount Fuji one paper said: "The awe that Fujisan's majestic form and intermittent volcanic activity has inspired was transformed into religious practices that linked Shintoism and Buddhism, people and nature." It added that Mount Fuji had "inspired artists in the early 19th century to produce images that transcended cultures, allowed the mountain to be known around the world, and had a profound influence on the development of Western art." Of the ancient world, the city of Tauric Chersonese founded by the Dorian Greeks in the 5th century BC on the northern shores of the Black Sea in Ukraine was selected. The site encompasses six urban areas and hundreds of chora, rectangular plots of equal size. By the 3rd century AD, the city was a top wine producer and served as a hub for the Greek, Roman and Byzantine Empires, and people living north of the Black Sea. Known as the “Ukrainian Pompei”, Tauric Chersonese thrived until the 15th century. Kaesong city consists of 12 sectors, including palaces, astronomical and meteorological observatory and defensive walls that integrate Buddhist, Confucian, Taoist and geomantic concepts. Together, these testify to the history and culture of the Koryo Dynasty, which ruled from 918 to 1392 and unified the various states which had inhabited the Peninsula, the Committee said. The ancient city is North Korea’s second World Heritage site after the Complex of Koguryo Tombs in Pyongyang, listed in 2004. Mount Fuji was the 17th Japanese site to be inscribed by UNESCO which now has a total of 981 sites in 160 nations. But as the number of sites on the list grows so does demand for funds from the 190 countries that have signed onto the World Heritage Convention. “The situation of the fund is becoming alarming,” said Cambodia’s Deputy Prime Minister and chair of the World Heritage committee, Sok An, in his opening address. A lack of funds has undermined efforts to protect natural and cultural World Heritage sites and Alissandra Cummins, chairperson of the Executive Board of UNESCO said it was time to put the importance of culture before pure economics as those sites have been declared worth saving for future generations. The committee sifted through 32 candidates and not all were successful. Among them was Pimachiowin Aki, a boreal forest on the Manitoba-Ontario boundary in Canada. The committee was not convinced the site was unique enough to warrant a world heritage designation and has asked Canada to refine its submission. The Japanese government also sought to register the ancient city of Kamakura, near Tokyo, but a decision not to proceed was made after an initial request for a listing was met with a poor response by Work Heritage committees. The committee also had words for Australia, saying the Great Barrier Reef would be listed as being "in danger" by the United Nations unless Australia addresses key threats from industrialization. A recommendation to consider adding the reef to the list next year would be taken unless steps are taken to resolve potential problems caused by the impact of proposed gas and coal port projects. Other issues were also dealt with. Looted artifacts from Cambodia during 30 years of war have been sought after through the courts in New York with success. Emily Rafferty, president of the Metropolitan Museum of Art in New York, also used the meeting to return to Cambodia two 10th-century statues that had disappeared from the Koh Ker monument in Preah Vihear province in the 1970s. “We are all encouraged by the historic voluntary restitution of two important Khmer Pandava statues by the Metropolitan Museum of New York to the people of Cambodia,” UNESCO Director-General Irina Bokova said. Rafferty said the statues were donated to the museum 20 years ago.